In order for life to exist and persist in a biological organism, from plants to man, electrons must continue to flow. Electrons, quite factually, are the fuel of life, and their flow from one molecule to another is what differentiates the living state from the inert, or dead, state. However, an equally important concept involves the details of this electron flow. Diseased states of existence are present when electron flow is present but suboptimal. Optimal health is approached and/or maintained when this electron flow is adequately increased in both the amount and the rate of flow. Positive nutrition, which occurs when good foods are ultimately broken down to electron-donating, antioxidant molecules. Good nutrition increases the amounts of electrons delivered to the target molecules with a relatively lesser contribution to improvement of actual electron flow, although this would have to be improved somewhat as well if the actual content of electrons is increased. Properly applied magnetic fields will strongly increase electron flow without actually permanently increasing the amounts of electrons in the tissues and their constituent molecules. The increased electron flow in the tissue exposed to the magnetic field will be increased as long as the magnetic field remains. However, even though electrons are not permanently donated as with antioxidant supplementation, the salutary effect of the increased electron flow can be expected to improve cellular metabolism and detoxification such that it will clinically appear that the increased electron flow is continued upon removal of the magnetic field. And, in fact, if cellular biochemistry is normalized, the actual amount of electron flow will be permanently increased to a level higher than prior to the magnetic field exposure until the cells once again become diseased. (See before and after Cellular Voltage Testing). Properly applied electromotive energy through correct magnetic application can strongly increase both electron flow as well as electron supply with substantial health benefits. Positive nutrition, along with and substantially enhanced by high-dose antioxidant supplementation, is one of the best ways to improve general health. While all antioxidants donate electrons, vitamin C and glutathione are the two most important antioxidants for the support of good health. With the exception of glutathione, where two oxidized molecules bind to each other and do not directly “seek” the addition of new electrons, all molecules that donate electrons then assume an oxidized state, in which they temporarily assume the nature of a pro-oxidant molecule that seeks to acquire, or rob, electrons, in the same manner as any oxidation-inducing toxin or metabolic waste byproduct. While it is important to understand that enough of the oxidized counterpart of any antioxidant can be highly toxic due to its need to acquire electrons and oxidize its immediate surroundings, it is still not a “bad guy” per se, as electron transport (or “electron flow”) cannot take place without a continuous relay of electrons from the reduced antioxidant to its oxidized form. This relay can only go from the reduced state to the oxidized state, but when the actual amounts of the oxidized forms of antioxidants predominate at any one point in time, the net result of oxidative damage, or oxidative stress, will begin to manifest and a large amount of electron-robbing (“toxic”) damage will occur to otherwise normal cellular structures and enzymes, as well as the cell wall itself, as the oxidized forms seek once again to acquire new electrons. As the study of physics reveals, the universal nature of energy is that it is never consumed or destroyed. 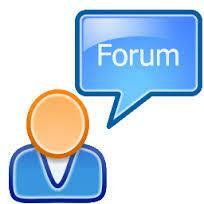 Instead, it is stored in different forms and can essentially relocate in any of a number of different molecules. For example, in biological molecules you can never “burn up” or destroy an electron, but when such electrons are uninhibited in their movement and ability to relocate in different molecules, the macroscopic observation of energy “formation” and energy “consumption” is seen in biological organisms and their constituent tissues. When you see a fire “consume” a substance, it is really only redistributing the electrons as different molecules break apart or bind together, creating new molecules. Magnetism and electron flow are intimately related and even interwoven, as current science indicates that one cannot exist in the absence of the other. As electrons flow in a given direction, a force known as a magnetic field exists perpendicular to that direction. It is inaccurate to think, however, that a magnetic field induces electron flow or that electron flow induces a magnetic field. They both exist in relation to each other at the same time, and it is not currently scientifically accurate to say that one causes the other. Basically, they represent two prominent and measurable characteristics of only one undefined entity. As a permanent magnet does not weaken in its measurable force over time, it would have to be concluded that the associated electron flow that is measurable with a given magnetic field will not diminish over time as well. Furthermore, the magnetic force fields of a permanent magnet have identifiable poles that have completely opposite effects when exposed to one versus the other pole of another permanent magnet. Opposite poles attract and try to fuse, while the same poles repel each other just as vigorously. The reason for the attractive effect between opposite poles is that the electron flow associated with the magnetic field of one pole proceeds in a clockwise direction, and the opposing pole is associated with an electron flow that proceeds in a counterclockwise direction. The electron flow associated with permanent magnets is such that when the North pole of a magnet closely approximates the South pole of another magnet, the respective electron flows actually merge and form a continuously circulating “electron rope,” binding the two magnets together with no apparent macroscopic loss of energy over time. This is why such magnets are called permanent magnets. The associated electron flows will literally intertwine forever, with no dissipation. Conversely, when same magnet poles (North to North or South to South) face each other, the electron flow of one magnet want to go in precisely the opposite direction of the electron flow in the other magnet, and the magnets repulse each other as strongly as the opposite poles attract and bind. Because the electron flow associated with a permanent magnet does not dissipate over time, it is obvious that no electrons are being permanently “donated” to anything that sits within or near the magnetic field. However, strong magnets will strongly promote the rate of flow of electrons within any substance or tissue which is being bathed by its magnetic field. This is much more an electron loan than an electron donation. 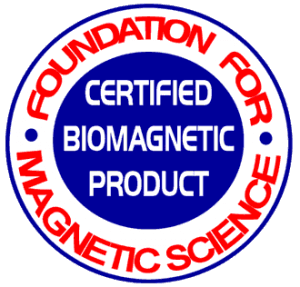 The North pole of a standard magnet has been documented to have essentially identical clinical effects on a given tissue as the administration of antioxidant substances, such as vitamin C. In other words, the health of a tissue is promoted strongly by the actual addition of more electrons (as with vitamin C) as well as by the acceleration and promotion of the electron interchange among molecules without actually adding to the electron content of those tissues (as with a North pole magnetic field). Vitamin C and North pole magnetism are very synergistic in promoting the health of the target tissues, as both electron amount and electron flow are very important to healthy tissues and cellular metabolism. Why does the application of South pole magnetism have opposite, oxidation-promoting,health-depleting effects on the exposed tissues? It would appear that because of the unique direction of electron flow associated with this pole, the oxidized counterpart of an antioxidant is stimulated more strongly to take electrons away from tissues than the reduced antioxidant is stimulated to donate its electrons. In other words, a North pole magnetic field shifts the balance of reduced and oxidized antioxidants (“redox pool”) in the direction of reduced antioxidant predominance, while a South pole magnetic field shifts this same pool in the direction of oxidized antioxidant (pro-oxidant) predominance. It is well-documented that many significant diseases are reflected by a predominance of the dehydroascorbate (oxidized) form of vitamin C over the ascorbate (reduced) form of it. There is no change in the actual content of vitamin C in such cases, but just a lesser proportion of reduced to oxidized forms of vitamin C.
Alternating current (AC) is very disruptive to normal electron flow and health. AC causes electrons to be donated and robbed back and forth from the same molecules many times per second. It is useful to think of AC as being much more a vibration of electrons than a flow of them. Such a vibration of electrons is exhaustive rather than supportive to normal cellular metabolism. It is a bit analogous to taking in and taking out a piece of good food from the stomach many times in one second. Good digestion, with its associated permanent donation of new electrons to the body, could never proceed under such circumstances. Direct current (DC) sustains electron flow and health. However, it must be given in appropriately measured low doses. Just as gasoline effectively powers a car, rocket fuel would destroy the same car engine. Dosing electrons many thousands of times above what is needed results in cellular destruction, not healthy cellular stimulation. If normal cellular processes are accelerated well beyond what is normal, toxic metabolites will not be excreted rapidly enough, and the cell will eventually die from overwhelming oxidative stress. There are many examples in biological science where if a little is good, more is not necessarily better, and a lot is often highly toxic or even fatal. 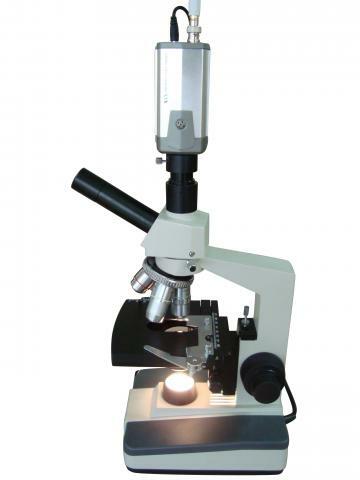 As indicated by the Bio-Negative testing upon free-radical sites and increased cellular voltage, proper magnetic placement not only affects the tissue at the placement site, but also the blood flowing in and around the cells (tissue) which provides increased electromotive energy throughout the body. When the body is systemically energized with the BiomagScience daytime (sternum) or lower CVS (back of neck) placement, testing shows the RBCs (red blood cells) become energized which naturally thins the blood for prevention of heart attack and stroke while increases cellular transfer efficiency (for greater nutrition and detoxification) for better health and wellness. The test also show the energized blood rapidly neutralizes and helps heal free-radical sites in an hour or so – something never seen before correct Biomagnetic placement. 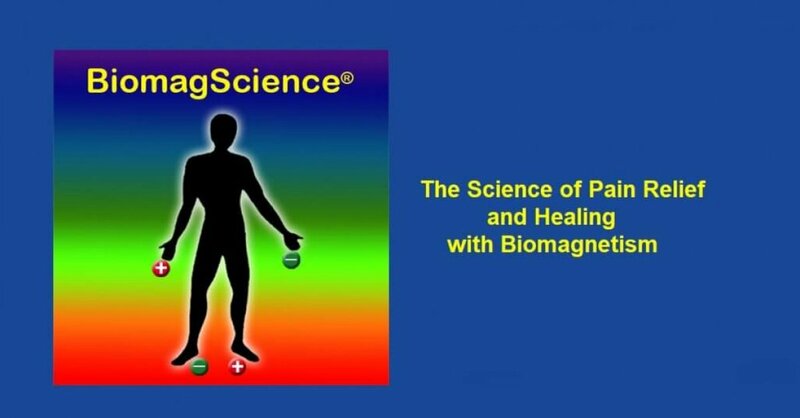 BiomagScience’s advanced Biomagnetic therapies have brought people out of terminating comas, have helped quadriplegic and others with severs nerves walk normally again, helped resolve acute lupus and over 180 other simple to acute medical conditions and illness.